Homeowners have spent a total of £41bn doing up their homes over the past five years – an average of £1,875 each, according to a recent survey. A separate poll found that the last four years have seen a five-fold rise in numbers of homeowners choosing to stay put and carry out home improvements instead of selling up and moving out. So we’ve definitely become a nation of improvers rather than movers, despite our lingering affection for property programmes such as Location, Location, Location and Homes under the Hammer. Clearly, moving home is a major upheaval which comes at a price (on average £10,000 according to one figure), while if you improve instead you could reap the rewards when you eventually do decide to up sticks and move on. One of the key reasons people will go through the upheaval of a move is to have more space. That could be with an extension such as a conservatory or orangery. New energy-efficient windows will transform your property’s appearance while also boosting its all-important kerb appeal. On top of that, they can also lead to significant savings on energy bills. Over 10 years, a typical home can lose up to nearly £3,000 worth of energy, with nearly a fifth lost via the windows. Talking of kerb appeal, or first impressions, one figure has it that UK house-hunters will pay up to 25% more for a home that has it. That means your entranceway shouldn’t just be an afterthought, but a key part of your whole property’s look and feel. A great place to start for a superb first impression that reflects a place’s character is via a new front door. If you make any upgrades fully in keeping with your property’s overall character, you’ll be making a sound investment. These days, the many options for sensitive development mean you can easily transform where you live, even if you’re in a conservation area or looking to incorporate genuine period features. At Isis Windows, based in Bicester we supply double glazing in Oxford and elsewhere across Oxfordshire. 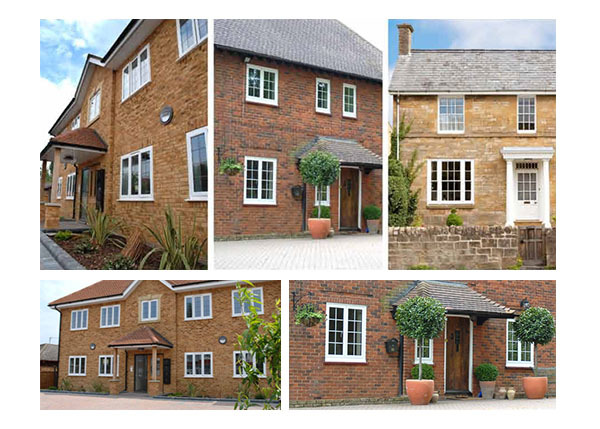 Our replacement windows and doors can add genuine value to your home. Give us a call now to learn more.